Along with my work as an author, writing psychological, paranormal and mystery fiction for young adults and new adults, I try to get out as much as possible to meet new readers, do book-signings, to give author talks and creative writing workshops. Tuesday 12th February – Warwickshire Unison Retired Members group in Leamington Spa, at 2.30pm. I gave my talk on The Power of Story and feedback included the following remarks: Q: ‘Did you learn anything new?’ A: Yes, the 12 point story outline. And I enjoyed hearing about your writing journey. Q: ‘What were the highlights of the talk for you?’ A: The 12 parts to a story. A very enjoyable talk – well prepared and it followed a logical sequence. To the question ‘What were the highlights of the talk for you?’ another audience member wrote: Seeing Colin Firth again! and reminder of childhood reading. ‘Any suggestions for improvement?’: A: more Colin Firth!!! (I think this referred to a slide on my powerpoint which showed Mr Darcy and Mr Wickham – hero and villain – both equally handsome but one of them is an absolute scoundrel… and the audience member concerned was probably yearning for a picture of Mr Darcy in his wet shirt! I may include that in my next talk! Sunday 28th April – Birmingham. I’ll be signing and selling my books at the Spring Craft Fair at Highbury Hall, 4 Yew Tree Road, Moseley B13 8QG. Hope to see some of you there. Do come and have a chat at the author stall. Friday 31st May – Sunday 2nd June – Birmingham. Once again I’ll be at the UK Games Expo at the Birmingham NEC. This is a fabulous event. Come and see and play the vast array of games of different types, enjoy the Cosplay Fashion Parade, perhaps see the Vikings, soak up the atmosphere and of course do come to the Author Stand – where you will find an exciting band of authors selling and signing their fiction: mystery, fantasy, historical adventure, paranormal… including myself with all my books. Do get onto the UK Games Expo 2019 website to book your tickets. Hope to see some of you there! 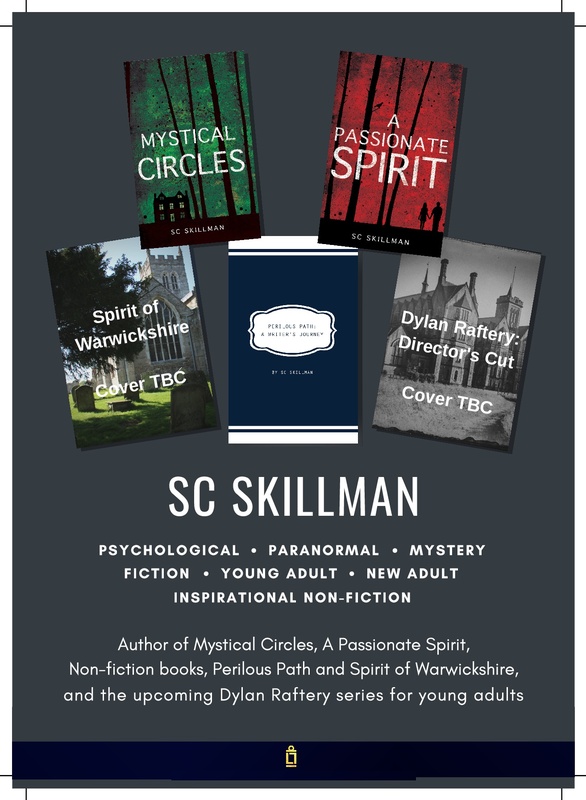 And watch this space which will be updated soon with my further appearances for book-signings, and my bookings for author talks and creative writing workshops during 2019. Friday 21st September – Warwickshire NHS Retirement group at the John Turner Centre, Warwick Hospital, at 10.30am. Wednesday 10th October – Atherstone Library, Long Street, Atherstone CV9 1AX, at 1.30pm. No need to book, just turn up! Wednesday 7th November – Church Guild at the Northgate Methodist Church, Warwick, at 7.30pm. Saturday 6th October – Creative Writing Workshop on Classic Story Structure, 2-3pm at Christ Church, Charterhouse Road, Orpington Kent BR6 9EP. This is part of their Creative Arts Day. For more information and to book a place, click here. I’ll also be selling and signing my books at the Christmas Market, The Levi Fox Hall, King Edward VI School, Stratford upon Avon CV37 6HB on Saturday 8th December from 12 noon to 3pm. More dates and events will be posted here as soon as they are confirmed. My first talk of the year in 2018 was to the Warwick Rotary Club at the Hilton Hotel, Warwick on Wednesday 31st January. I spoke for twenty minutes on The Power of Story. I also talked about my own writing journey, and answered several questions afterwards. On Tuesday 6th March I spoke to the Coventry Writers Group at the Big Comfy Bookshop, Fargo Village, Coventry. What a lovely group of writers they are. I thoroughly enjoyed giving my talk to them. There was much lively interaction and I learned a lot of new things too. We looked at classic story structure and the hero’s journey and we also discussed the highs and lows of the writing life. A fun, stimulating and illuminating evening! In June 2018 was at the UK Games Expo at the Birmingham NEC. A fun and entertaining weekend with fellow authors and games enthusiasts!